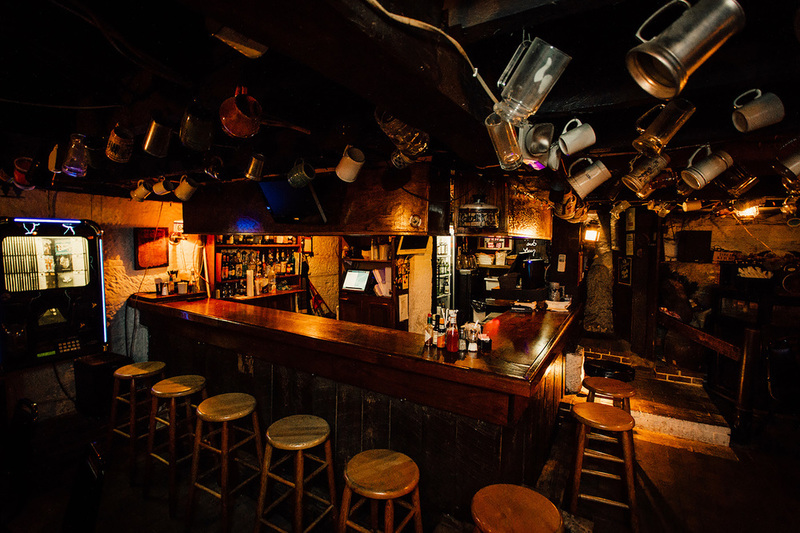 The welcoming and rustic atmosphere of our tavern is always a delight for patrons. It was dug deeper from its original function as a fruit and coal cellar in 1968 to become a serving area. The tavern can seat up to 38 in tables and another 10 at the bar. A wide selection of various beers and mixed drinks are served by the friendly and familiar bartending staff. The vintage signs and mugs that adorn the walls and ceiling give a one-of-a-kind backdrop to all those who come in desiring wings or an evening of socializing.